After a protest of the removal of a confederate statue in Charlottesville, Virginia turned violent Saturday, resulting in three fatalities, Trump condemned hatred and bigotry, resulting in outrage from the left. 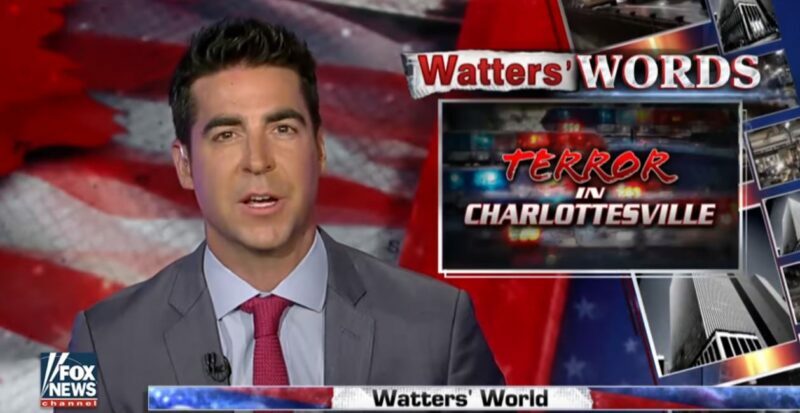 But these critics are completely forgetting their favor for ambiguity in other instances of domestic, race related violence, and Fox News’ Jesse Watters is calling them out for the hypocrisy. Trump’s failure to specifically address white supremacy in his original statement following the violence mirrored responses of former President Barack Obama to racially charged domestic terrorism. But the left has decided to conveniently ignore this similarity in their efforts to further divide our nation. The acts of violence by white supremacist, neo-Nazi’s, and Ku Klux Klan members are disgusting and not to be tolerated in the United States, an opinion supported by White House Statements. While Trump clearly does not support the violence that occurred Saturday, liberals interpreted his statement as support for the racist extremist groups. But are they completely forgetting Obama’s refusal to say “Islamic terrorism”, or to associate Black Lives Matter with mass killings of our nation’s officers? 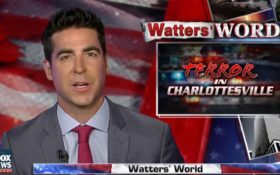 While the violence of the alt-right is undeniably disgusting, Watters draws an important comparison of the rhetoric of Trump and Obama, addressing the hypocrisy the left has against Trump. Trump’s national security adviser, H.R. McMaster, said Sunday that he considered the attack to be terrorism. The president’s homeland security adviser, Tom Bossert, defended the president’s initial statement by suggesting that some of the counter-protesters were violent, too. When pressed during a contentious interview on CNN’s “State of the Union,” he specifically condemned the racist groups. While this is a time that the nation needs to come together as one, the left is focused on dividing themselves from Americans who support the president, and using hypocritical logic to do so.